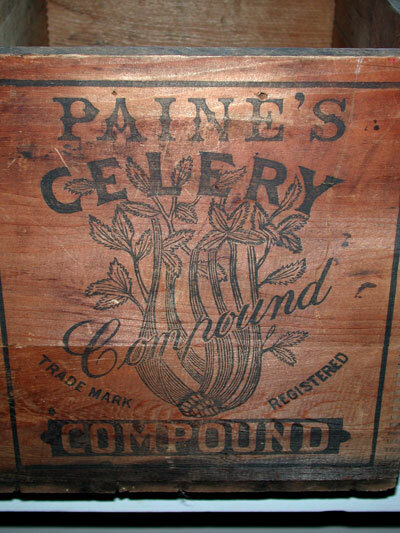 Description: Original Paine’s box measure’s approx. 11” x 14”. Marked on all (4) sides. Excellent illustration of “Celery Stalk” on both ends. Box construction shows very nice early craftsmanship, c. 1880. 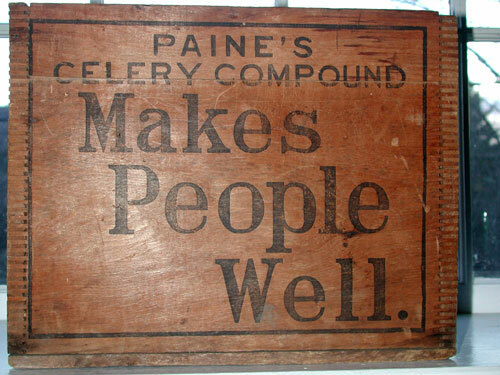 Marked: PAINE’S CELERY COMPOUND / MAKES PEOPLE WELL (2 sides). 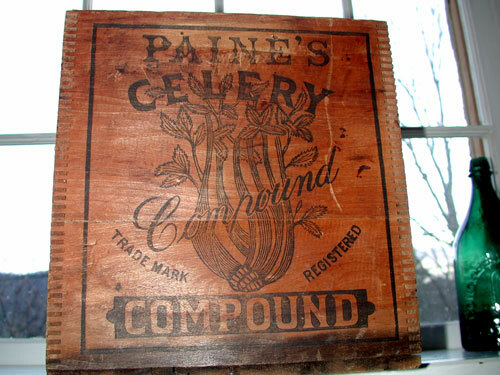 PAINE’S CELERY COMPOUND (w/ illustrated celery stalk) also on (2) sides.